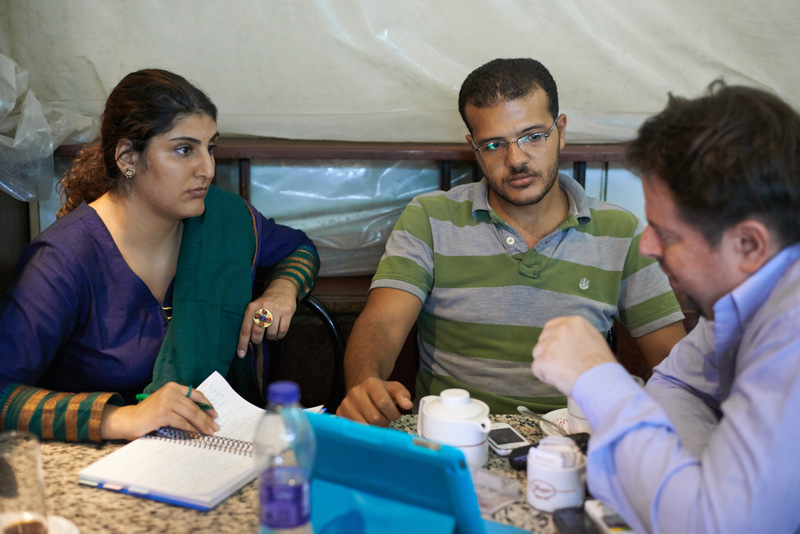 Mariam Abuhaideri speaks to a group of fresh graduates at a local cafe in Downtown Cairo about the challenges ahead. Some of their strongest ideas were “Islam with Democracy”; “neither Sisi nor the Ikhwan”; “any president who comes will not care for Egypt”; “There are no jobs”; “we want to do something for our country”. Following the conversation, they listened attentively to my ideas on youth empowerment and youth-led development in Egypt. There biggest challenge now, is to fight unemployment and a mentality that status quo is fine when it is anything but that! Sexual Harassment, poor personal hygiene, an educational system that need immediate revamping, and anger management are some of the most pressing issues! 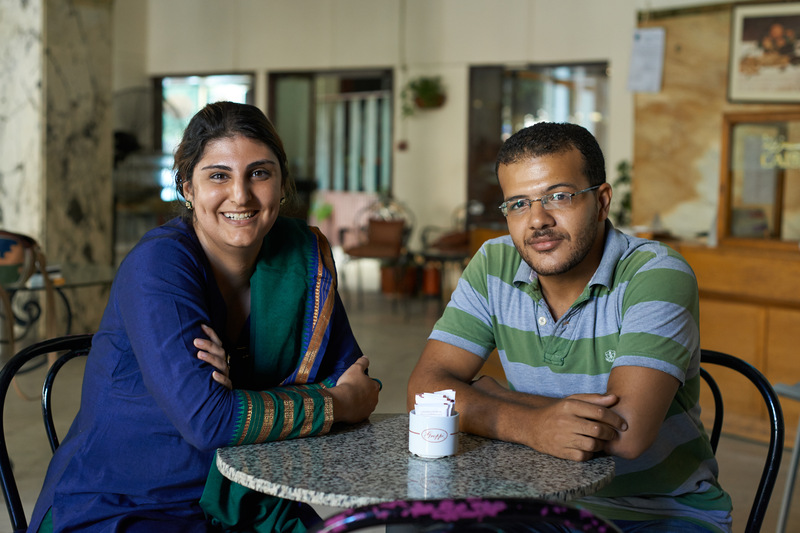 In this second part of the 3-part interview series with one of the 15 founders of Tamarod, the founder speaks of the movements aspirations for the future of Egypt and also their views on the current developments within the country. Despite explicit mention of the movements support for the army, the movement is sufficiently aligned with the military. Tamarod- a youth led movement was pivotal in the ouster of Egypt’s first democratically elected president. Part 1 of the series contains background information about the movement. In the final part of the 3-part interview series with one of the 15 founders of Tamarod, the founder speaks of the polarization that has engulfed the country and also about what is next for the movement. The movement is against any foreign intervention in their affairs. Any attempt by the US to even “comment” on the developments may be construed as interference. Tamarod- a youth led movement was pivotal in the ouster of Egypt’s first democratically elected president. Part 1 of the series contains background information about the movement; Part 2 highlights the movements aspirations for the country. In this 3-part series, Mariam Abuhaideri interviews Tamarod founding member Karim Abdel Hafez. Part 1 sheds light on background information about the movement that played a pivotal role in the ouster of Mohammed Morsi. 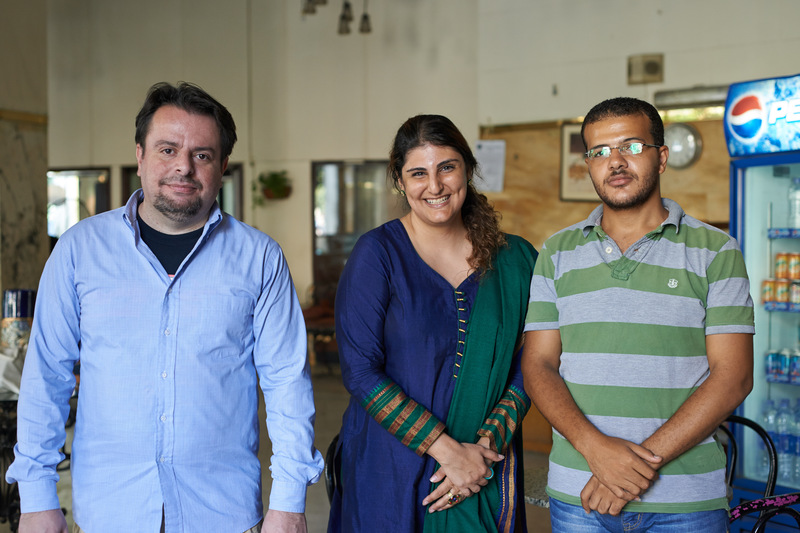 With translator Adel Maged Nour and Karim Abdel Hafiz, the 26-year old Lawyer and founder of Tamarod. Online crackdown by Egyptian Police or a Virus? So as has been the case with any paranoid government during a conflict, the Egyptian security forces have found their online victims. There are rumors that police have started cracking down on people online who post anti-army or pro-Morsi/ anti-coup updates and information on their Facebook and Twitter walls. An Egyptian has reported that his internet was blocked and a message from the Egyptian police popped up as he tried to log into his computer. The message which was in Arabic read that his internet has been blocked and that he would have to pay an undisclosed amount in fine. Others believe that it is only a rumor and that the Egyptian army would never resort to such measures. Given that Sisi had ordered the closure of many pro-Morsi Islamists media stations following the events of June 30th that saw the ousting of President Mohamed Morsi, I would disagree with them. Yet there are others who believe that it could be a hacker posing as the Egyptian Government. Historically, a government that seeks power would resort to any measure in desperation to be maintain control over dissemination of information. If these reports of online crack down are confirmed, is it that they would also track me down considering I am posting live from Cairo? What I’d like to know is if this the government that Egyptians would like to live under, why didn’t they just let Morsi complete his term? Bearded men are not only construed as enemies in the West. I started my day yesterday at Cairo’s Anglo American hospital where a doctor was seeing me for an ankle injury. I asked my orthopedic surgeon if there were any injured from the catastrophe housed here at the hospital and his colleague from the other side of the emergency room immediately interrupted our conversation, asking me if I thought what had happened in Rabaa Al-Adaweya and Ramsis Square was a catastrophe. I began by clarifying that I am not an Egyptian, and then I boldly stated, yes, it was a catastrophe. He felt that I was siding with the protestors. We all know that it was nothing short of it. It seemed like he had no heart, and truly believed that the protestors were killing their fellow men to gain pity. For a health care provider to utter these words is discouraging. There is no hope for reconciliation if those who are supposed to be in charge of saving lives are fostering so much hatred. For many like him, there are only two sides and the truth is well defined; it is them against us. But for most of us, the truth is far from clear. I have friends who belong to both camps and it is hard to convince them to reason with each other. I almost got into a verbal brawl with the doctor, but I held back. I have to remind myself every moment that as a foreigner it is not my place to interfere. In order to find out who is responsible for the violence and brutal killings, we must ask who is benefiting from an unstable Egypt? Let’s play a game of Clue: Who is responsible for violence in Egypt? First I would eliminate foreign powers for I believe that the true culprit lies within the borders of the country. The candidates are Sisi and the police, the Muslim Brotherhood (MB), and thugs or Baltageya. According to Sisi supporters thugs and the MB are the same player. And the conspiracy theories do not stop there. The interim government, which functions as the military’s puppet, refers to the MB as a terrorist group. As a result, their beards and conservative veiling makes them targets of state-enforced violence. Have they been equipped by the security forces, are they from the pro-Morsi camp, or do they have their own identity? And why would they allegedly kill fellow Egyptians? It goes without saying that most liberal Egyptians believe they are part of the Ikhwaan because they were seen marching alongside them. Their opponents believe the contrary. I decided to visit Ramsis Square to attempt to uncover the truth. Of course I didn’t think it was possible to strike a conversation with any of the “allegedly” armed thugs or terrorist groups, but I wanted to try to get as close as possible to the area. I wasn’t permitted in the mosque and I couldn’t take my camera inside the square. Yet, I managed to get as close to the mosque as possible. Since I didn’t have a press pass, I could have been arrested as I was defying the emergency law. I tried to calm myself down by thinking, I have been arrested once, and a second time is no big deal. I must admit my heart started to beat faster, but I kept ignoring the accelerated heart rate. I had a quick look around and didn’t see any weapons except those with uniformed security forces. Made me wonder where these thugs or members of the terrorist groups were. I didn’t see any indication that I was in danger. Of course I wasn’t permitted to go inside the mosque, and perhaps the armed thugs were inside. I was then escorted out and I boarded a taxi and asked the driver to take me as close to the mosque so I can take some pictures. I saw some men at checkpoints and my driver identified them as baltageya. But again, they had no weapons except loud voices and wooden sticks. The general understanding is far from the truth. The thugs are neither members of the Muslim Brotherhood nor are they members of the pro-Army camp. They are a bunch of hyper masculine men who are against the militarization of Egypt. Those men stationed at checkpoints are protecting their neighborhood and are often mistaken for thugs as they have wooden sticks and loud voices. The thugs just as them are Egyptians, unlike most theories that state they are Yeminis, Syrians and Pakistanis. They tend to be from lower socio-economic class and most of them are not bearded, but young men in their mid-twenties or early thirties. They may be Coptic Christian or Muslim. The army could have funded or armed them to create instability. They could be escapees from the prison and been armed by local police forces. They may have been responsible for executing orders to burn and vandalize churches and private property. On the other hand, the Muslim Brotherhood could have armed them. But would staunch Islamists defy Grand Imam of Al-Azhar Sheikh Ahmed Al-Tayeb? I don’t think so. And if it was as many believe, that the terrorist groups are killing the protesters to gain attention to their plight, why would there be no killings considering the armed thugs were trapped inside Fatah mosque with protesters. Egypt seems to be engulfed in a civil war with multiple parties with no end in sight. The day was eventful because the many people that lost loved ones during the dispersals of Rabaa were seeking justice, and will not rest until it is achieved.